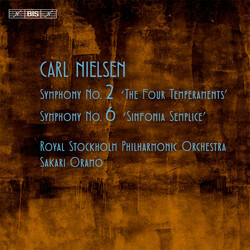 The recently released second volume of the Carl Nielsen symphony cycle from the Royal Stockholm Philharmonic Orchestra and Sakari Oramo has already met with acclaim similar to that for the first disc: ‘an ideal blend of fieriness and loving care’ was how the performances of the First and Third Symphonies were characterized by a reviewer on Norddeutscher Rundfunk, and on BBC Radio 3 CD Review the disc was described as ‘an impressive second volume from what's turning into a must-hear Nielsen cycle.’ The last instalment of the cycle opens with the composer’s Symphony No.2, ‘The Four Temperaments’, dating from 1901–02. Its origins were in an allegorical picture Nielsen came across in a country inn, illustrating the four temperaments of man as defined in Greco-Roman medicine: anger, apathy, melancholy and carefree abandon. But Nielsen was incapable of drawing anything other than a rounded character-portrait, and consequently the fiery first movement also allows for lyrical episodes, there are moments of stoic nobility in the melancholy, and the march that conclude the sanguine finale is imbued with a certain dignity. 23 years later the composer completed his sixth and final symphony, giving it the subtitle Sinfonia semplice (Simple Symphony). 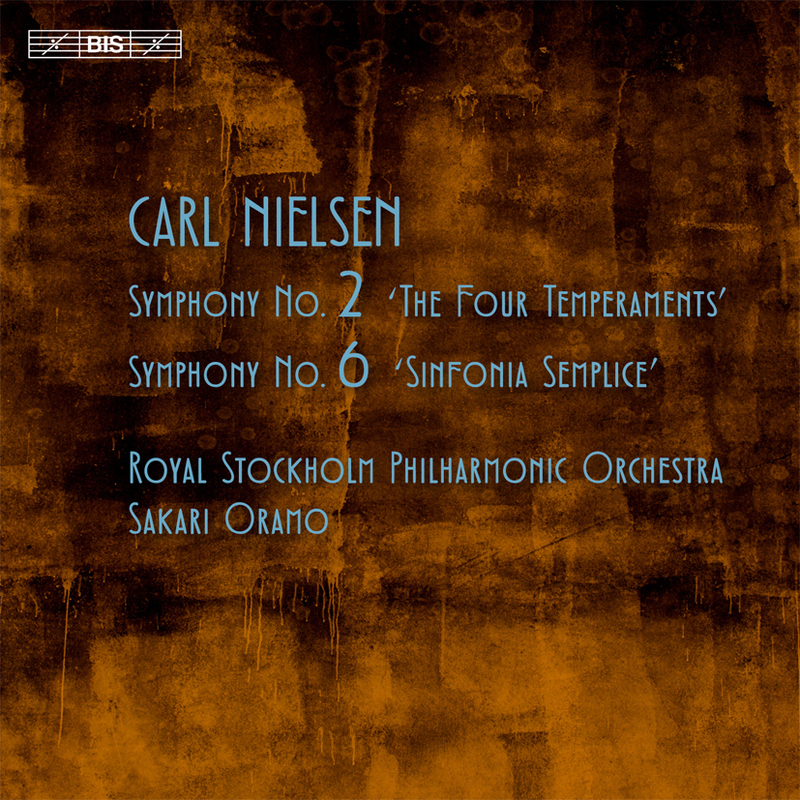 In the meantime, the Fourth and Fifth symphonies had brought Nielsen the greatest measure of professional recognition he ever enjoyed in his lifetime. In spite of its subtitle, Symphony No.6 baffled reviewers as well as audiences, however. When beginning to work on it Nielsen had envisaged a work that would be ‘quite idyllic in character’ – something that is borne out by the opening bars. But by the time he arrived at the last movement, Theme and variations, the work had taken a different course, and as Nielsen later told a friend, the ninth and last variation, scored for tuba and percussion, represents ‘death knocking at the door’.